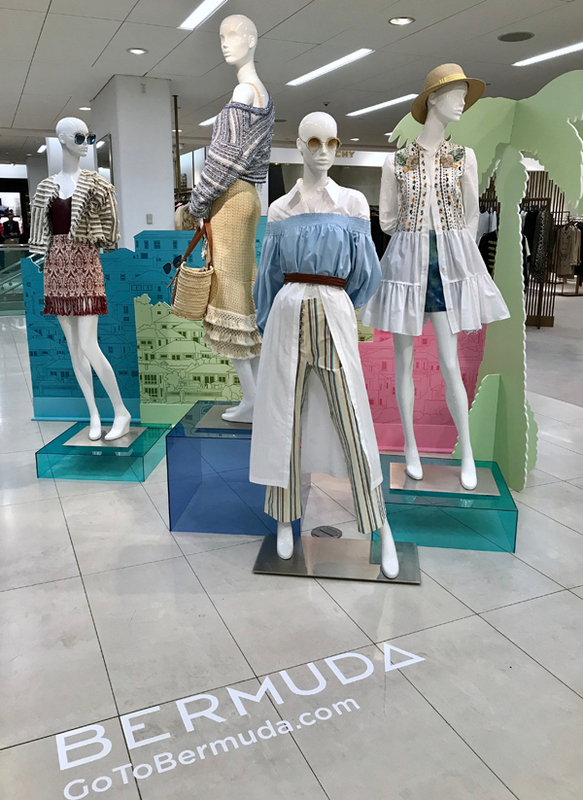 Bermuda-themed displays are in the street-side store windows and on the retail floors of Saks Fifth Avenue locations in New York City, Boston and Toronto this month. In my opinion, this does not represent Bermuda well. The window displays are way too dark and scary looking. The clothing displays don’t represent Bermuda at all. Where are the Bermuda shorts? What a waste of money! Perhaps there could be a sign there telling foreigners you ‘don’t need them’ or something. That would represent you more accurately. The windows might look dark because the photos used in this article were taken at night, but the windows are full of Bermudaful colours. 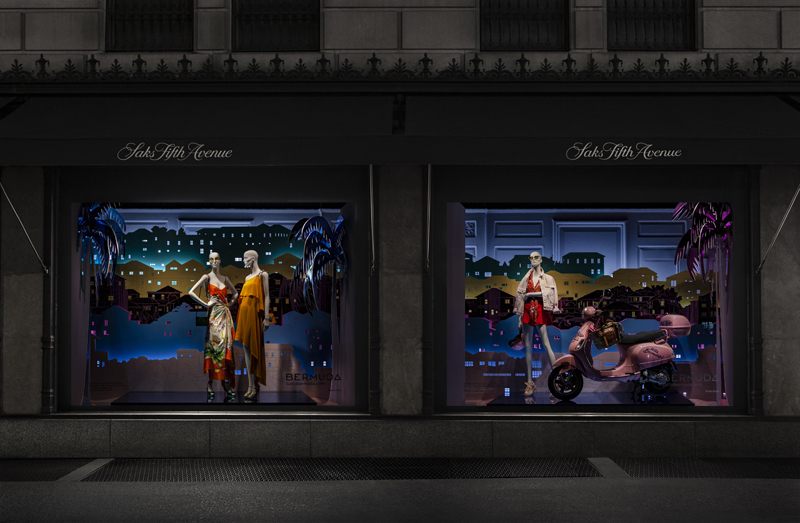 The fashion was selected by Saks themselves from their spring collections. In a collaboration like this Bermuda doesn’t have full editorial control, and we are limited by practical considerations such as what Saks actually sells in their stores. Always happy to hear feedback though – and please feel free to get in touch directly if you have some proactive suggestions or ideas for us. Here is a proactive idea! You guys missed out on getting Bermuda Triangle and Bermuda into the Aquaman movie that was viewed by hundreds of millions of people worldwide! Get us into Aquaman 2! You’re right, there isn’t enough racism and homophobia in those displays. I understand each of these opinions, but these items would not entice me into investigate the Bermuda “fashion”. We have so many other colourful and diverse items being offered locally. Where are they? By the way, let’s forget the cynicism.